Keith Raymond and Harriet Palmer, New Zealand Tree Grower February 2019. A new harvesting tool – the automatic quick coupler – is almost ready for commercial use. It has been developed as part of the Steepland Harvesting Programme, and is particularly relevant to owners of small-scale forests. The automatic quick coupler enables rapid change between different log processing and loading attachments without the machine operator leaving the cab. Using this attachment will reduce the number of machines required on log landings, make for safer working conditions and save costs. The automatic quick coupler is one of a number of tools developed under the Forest Growers Research Steepland Harvesting Primary Growth Partnership. The programme’s aim was ‘to improve the productivity and safety of harvesting on steep land, and develop new forestry equipment for domestic and export sales. 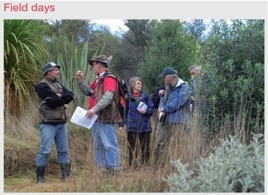 Back in 2013, a number of New Zealand forestry managers and contractors, along with Steepland Harvesting Programme manager Keith Raymond, visited Elmia Wood 2013, the world’s largest international forestry trade fair held in Sweden every four years. One machine they saw being demonstrated was an automatic coupler where the operator changed from a grapple processor head to a loading grapple in a matter of seconds without the operator having to leave the cab. Those watching this demonstration immediately recognised the potential for New Zealand harvesting operations, especially in small forests where production is constrained and machine utilisation is low. After returning to New Zealand and reporting to the technical steering team it was agreed that this innovation should be investigated. An economic assessment of the automatic coupler’s viability in New Zealand was undertaken to identify the production rate at which the quick coupler would give the greatest benefit. Some forests are not suitable to high production operations where the grapple processor would be fully used, given their specific conditions. In these low production conditions the grapple processor machine would have spare capacity to do other tasks, such as sorting logs or loading trucks. This analysis determined that the optimum harvest rate at which the quick coupler would improve profitability was around 220 tonnes a day. At this rate, harvesting crews currently operating two machines on the landing such as a grapple processor and a log loader and using the quick coupler would be able to reduce the two machines to one multi-function machine. Average cable hauler production is about 230 tonnes a day, which means the automatic quick coupler is suitable for most operations with lower than average production. These lower production operations are found in large and small forests wherever operational constraints restrict daily production, such as smaller tree size, difficult hauling or small landings. By using an automatic quick coupler and reducing the number of base machines and operators required, it was estimated that logging costs could be reduced by a minimum of $2.86 a tonne assuming daily production is under 220 tonnes. The quest began to find a New Zealand manufacturing company interested in taking on the challenge of building an automatic coupler suitable for the New Zealand market. The aim of the project was to develop an automatic coupler to enable the operator to switch attachments in no more than ten seconds without leaving the cab and with no contamination of the hydraulic system. Discussions were held with the Swedish manufacturer of the unit which had been demonstrated. It quickly became apparent that their system would not meet the requirements of the larger, heavier processor heads needed to handle New Zealand radiata pine. A partnership was then developed with Doherty Engineered Attachments Ltd of Mount Maunganui, who manufacture a range of mechanical quick couplers. By the end of 2017 the first unit had been designed and built. In June 2018, full hydraulic testing of the new attachment was undertaken where it performed well at maximum hydraulic pressures and flows required by the largest grapple processors used in logging. The testing highlighted where some minor modifications were required. These were completed in October 2018. The automatic quick coupler is now ready for final testing where it will be installed on a base machine and tested under normal operating conditions. Forest Growers Research will hire an excavator to undertake the final testing. For farm foresters, the automatic quick coupler could bring significant benefits. It enables multi-function log processing and loading using just one base machine and operator. The rapid switching between attachments means increased productivity, and maximises utilisation, so one machine is operated at full capacity even in low production operations. It has been designed to fit all models of excavator and grapple processor used in New Zealand. It enables all logging tasks – felling, shovel-logging, processing and loading – to be carried out with one machine. This leads to savings in harvesting costs. The automatic quick coupler will cost around $50,000 to buy and it is anticipated that contractors would see payback on the investment in under than six months due to the savings in operating costs. In addition, operations will be safer, with fewer machines on the landing and no manual work to change attachments. Forest Owner Marketing Services Ltd, one of the largest independent forestry services providers in the North Island, will be the first contractor to use the automatic quick coupler, so it is expected to be operating in the forest from mid-2019. The new device fits into the bigger picture of innovative, fully mechanised, small-scale hauler systems developed by the Steepland Harvesting programme. A field demonstration is planned for 2019 and farm forestry members will be invited to come and see the automatic quick coupler operating in the field. This has been a very successful project. 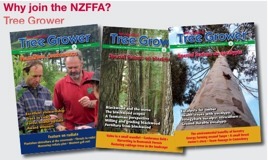 It is a good example of the Forest Growers Levy in action – good ideas from overseas, adapted for local conditions, supported by industry companies and contractors and levy funding. The project has developed something which is fit for New Zealand harvesting conditions and has been supported by the forest industry. It has reduced the risk of investing in new technology by harvesting contractors, and it has helped a local engineering firm to design, develop and commercialise a new tool which can now be taken to the market. Forest Growers Research would like to acknowledge the funding support of the Ministry for Primary Industries and the Forest Growers Levy Trust for this project. Keith Raymond leads a seven year Primary Growth Partnership programme in forestry automation and robotics. Harriet Palmer is an independent forestry communications specialist.